TORONTO - One of the financial backers of wireless startup Mobilicity has filed a lawsuit against the federal government, seeking $1.2 billion in damages for breaking several assurances that Industry Canada officials allegedly made to prospective investors. New York-based investment firm Quadrangle Group claims, among other things, that Mobilicity's backers were assured that it would be able to transfer wireless spectrum to one of the big Canadian wireless networks after five years. However, the government's has refused to allow Mobilicity to transfer the spectrum to Telus Corp. (TSX:T), which has offered to buy the smaller company that has been operating under court protection since late last September. In the statement of claim filed with the Ontario Superior court on Thursday, Quadrangle alleges that in late 2006, Industry Canada pursued a meeting in late 2006 with John Bitove, a Canadian businessman known for his development of Sirius XM Canada, and encouraged him to help invest in a new wireless company. "The Industry Canada representative ... assured Mr. Bitove that if he has his partners invested in a new company, purchased spectrum and built out a new network, it would prevent unfair competition from the incumbents and create market conditions in which new entrants could establish themselves and compete effectively," the company said in the filing. Part of the understanding, the claim says, was that Industry Canada assured Bitove that his investment would not be lost because the spectrum licences could be sold to one of the country's biggest wireless carriers after five years. Bitove has put about $44 million into the business through his company Data & Audio-Visual Enterprises Investments Inc., which has filed the claim alongside Quadrangle. As part of the investment, Quadrangle gave $217 million of equity and another $95 million through a debt financing, the court documents say. Together, they paid the federal government $243 million for its wireless spectrum in 2008, eventually using them to create a wireless network concentrated around big cities in Ontario, Alberta and British Columbia. None of the allegations have been proven in court, and Industry Canada declined to confirm whether the meetings with Bitove took place. 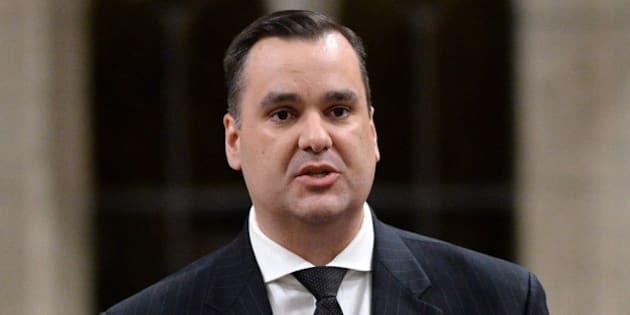 "Our government is committed to protecting Canadian consumers and we will continue to support policies that lead to more choice and greater competition in the wireless sector," said Jake Enwright, a spokesman for Industry Minister James Moore, on Friday. Mobilicity is in five urban markets — Ottawa, Toronto, Calgary, Edmonton and Vancouver — but has made little impact on Rogers (TSX:RCI.B), Telus or BCE's Bell (TSX:BCE), which account for about 90 per cent of the Canada's wireless subscribers. Quadrangle says it has invested hundreds of millions of dollars in Mobilicity to compete with the big three carriers, build out Mobilicity’s network, created jobs and provided cellphone service to underserved Canadians. The statement of claim also says that Industry Canada breached assurances that it would enforce foreign ownership rules, require the big carriers to provide roaming and access to cell towers at reasonable rates and terms, and prevent unfair and anti-competitive competitive practices. "While the incumbent wireless providers have expressed their frustration at the government, what is interesting is that the new entrants, who Industry Canada is supposedly supporting, seem even more frustrated," said Canaccord Genuity analyst Dvai Ghose in a note. "We note that Verizon, who looked at entering the Canadian wireless market last year, decided not to enter, in part, due to significant regulatory inconsistencies." — Follow @dj_friend on Twitter.